Concierge is your Expensify assistant, helping you take care of everything from reviewing reports to submitting receipts time. Concierge helps automate much of the expense reporting process. Concierge can create expenses, submit completed reports, and guide you through the approval process. It can even help you instantly reimburse employees. The more you interact with Concierge, the better Expensify understands your goals. In other words, the less you like expense reports, the more you'll like Concierge. Submitting Receipts: When configured, you can count on Concierge to know exactly who, when, and how to submit your receipts. Ensuring Accuracy: To prevent fraud, altered receipts are noted in audit and duplicate receipt forwards are automatically disregarded. Reviewing Expenses: If you're reviewing expenses that require additional approval, Concierge will guide you through each step. No guesswork involved. How do I add a mileage expense from the mobile app? Where can I add a Secondary Login? 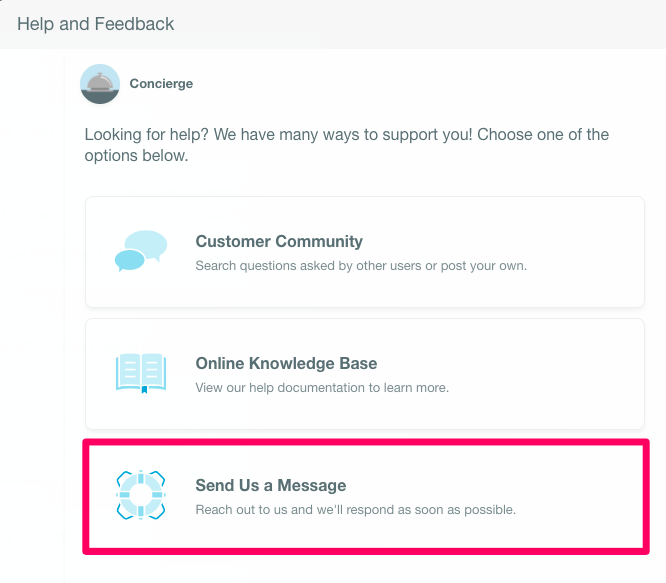 Already in an email conversation with Concierge? Just respond in the same message thread to pick up where you left off. Why does Concierge keep submitting everything for me? Auto-assignment of expenses/receipts to reports is controlled by the Scheduled Submit feature. This feature can be set up under Policy settings or under Account settings. The purpose of Scheduled Submit is to gather new expenses and place them on the most current Open report. You can also set a submission frequency to daily, weekly, twice a month or monthly. With Scheduled Submit you won't have to worry about forgetting an expense or the submission deadline! We will automatically submit your reports for you at the designated frequency or keep them open for manual submission. As it stands, we don't offer on-demand phone support for our users. Given that we have such a large user-base and a relatively small team, offering phone support would lengthen response times for our users across the board (here’s a link to a longer explanation of our support methodology from our Community Forum).